Radixweb is a leading offshore IT outsourcing Company launched Mobile Application Development with team of windows mobile developer trained by Microsoft and experts to provide you complete solution to your Windows Mobile Application Development. 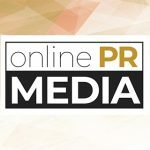 Online PR News – 25-October-2012 – Artesia, CA – Radixweb, India’s premier technology services provider and leading IT outsourcing company, has launched a new website http://mobileapplicationdevelopment.rndinfo.com/ to promote its mobile application development services. Radix is offering mobile app development for a wide range of mobile devices on this website. Radix has attained domain expertise in developing business intelligence apps, finance apps, gaming apps, travel apps, m-commerce apps, social networking apps, etc. You can view their domain expertise in detail at http://mobileapplicationdevelopment.rndinfo.com/business-apps.html. Radix is also using this new website to promote its portfolio. The company has developed several interesting mobile apps lately. They have developed a memory game, an SMS app, an information sharing app, an m-commerce app. You can view these apps and their details on http://mobileapplicationdevelopment.rndinfo.com/business-apps.html. Some of Radix apps are also freely available on app stores. The website also lists core strengths of Radix as an offshore mobile development company from India. They carry their customer testimonials as well on the website. Website visitors can simply submit a brief inquiry form and the Radix team contacts the client back to discuss the requirements in detail. To know more about Radix’s mobile development services visit http://mobileapplicationdevelopment.rndinfo.com/.